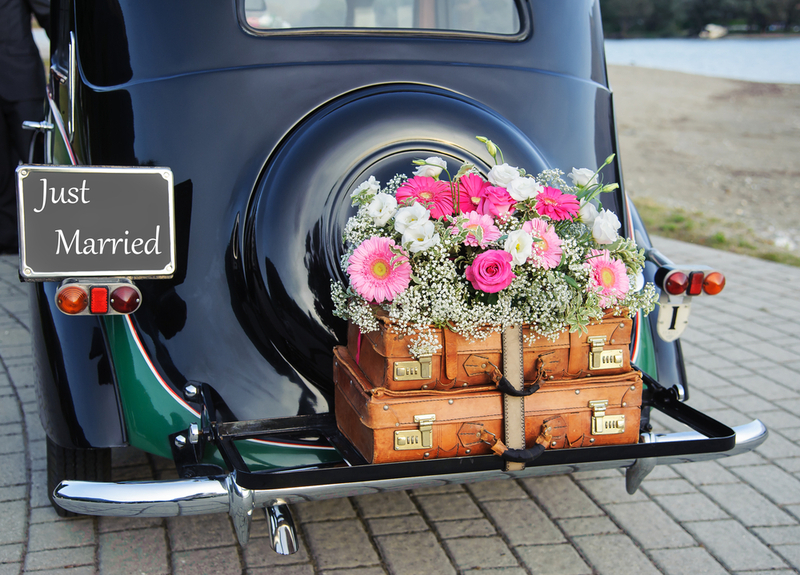 After a long, successful, wonderful wedding day, you can plan one last fun surprise for your guests with a creative wedding exit to wrap up the celebration. Leave everyone with a final "WOW" moment when you exit our rustic wedding barn near Knoxville once the party starts winding down. 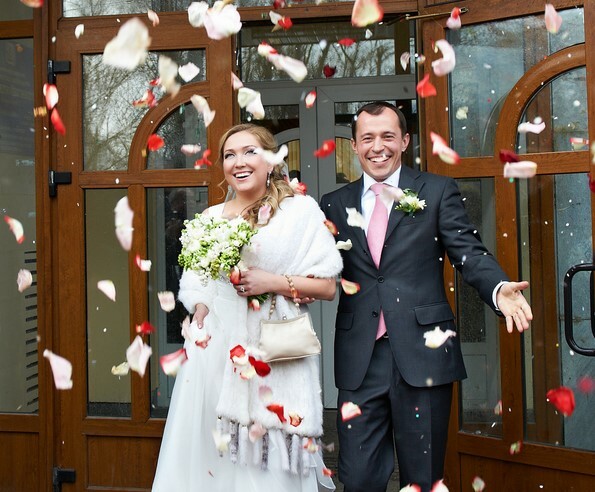 Rice was the traditional item to toss at the bride and groom as they exited the church. This act was meant to be a symbol of showering the couple with abundance and fertility. People stopped doing this due to reports about the uncooked rice being harmful to birds that ate the pieces left on the ground. The good news is, that is just a rumor and birds are not harmed this way. Still, if you don't like the idea of rice stuck in your hair, bouquet, and folds of your beautiful bridal gown, there are plenty of creative alternatives to this tradition. Some of these ideas are perfect for your walk down the aisle after the ceremony, others are ideal for your reception exit, and some work equally well for both. Always check with your venue first to make sure the following ideas go along with their rules. There are a lot of great things that your wedding guests can shower you with instead of rice. Colorful rose petals will look beautiful in photos and smell wonderful as they are thrown. Confetti provides another colorful exit, and confetti poppers make it easy to pass out and toss. There are biodegradable confetti options available too that means any pieces left on the ground after cleanup will be eco-friendly. This definitely makes for a very unique exit. Pull ideas either from your wedding theme, your occupations, or your favorite things. If one of you is a pilot or you will be leaving on a plane immediately after the reception, paper airplanes would be cool to have your guests fly over your heads. For big sports fans, let your guests shake pom poms in your wedding colors as you make your exit. Mini beach balls could be colorful, fun, and perfect for a summer wedding. Ribbon wands are an excellent way to enjoy a colorful wedding exit, but without a lot of stuff on the ground to be cleaned up once you're gone. Long, colorful streamers are fastened to the end of a stick. Small bells can also be added so there is a delicate ringing while the wands are being waved. Thousands of lovely bubbles floating all around the two of you as you walk through the line of wedding guests bidding you farewell provides for some very dreamy photos. Also, since the bubbles disappear after they pop, this is another idea with no cleanup needed. If you prefer less sparkle but still love the idea of leaving amidst a romantic glow, guests can line the aisle of your evening exit holding long taper candles. Once again, have a few people lighting them so the preparation for your exit goes quickly and smoothly. For this, you get bright lights with absolutely no fire involved! Much safer and a lot more colorful. You can pass the glow sticks out early enough for your guests to get some dancing in with them at the reception, and then when it is time for you to make your exit, they can make a runway for you with those glow sticks flashing in the air. Flying paper lanterns are a popular way to create a dramatic wedding finale. They create a very ethereal ambiance, but guests will need guidance and teamwork to make them work correctly. If your venue allows these, make sure that your guests have detailed instructions on how to light them and let them go. You and your wedding party might want to do a practice run ahead of time so that you are able to assist others at the wedding. You don't have to have things thrown at you or run through an aisle of anything to make a memorable exit. 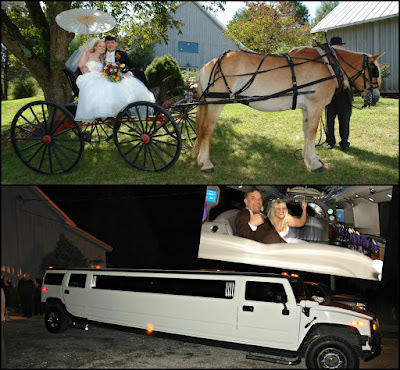 If you have some sort of impressive transportation to whisk you away after the wedding, that can make for an incredible exit too. 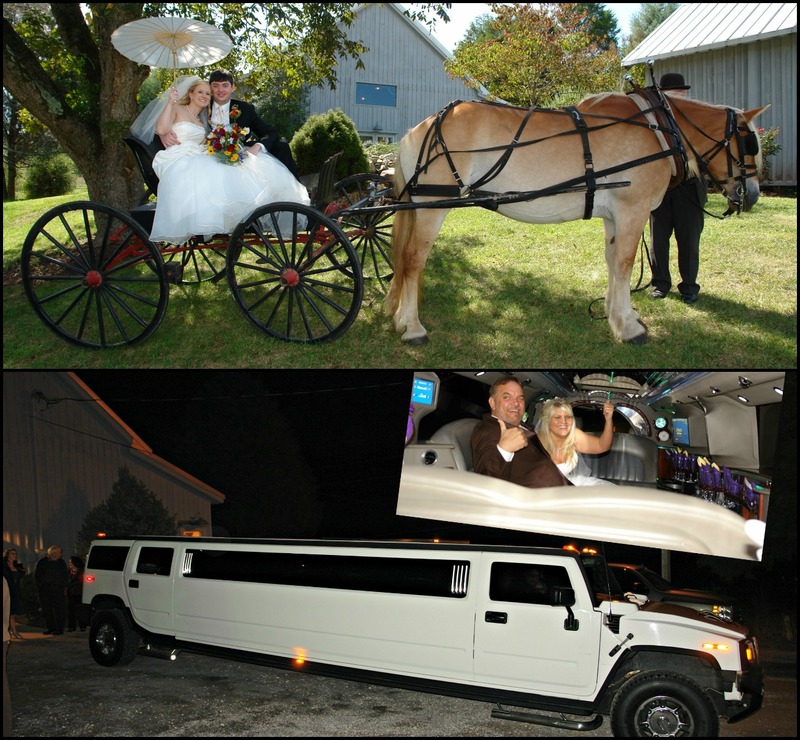 Rent a classic car, limousine, or maybe even a horse-drawn carriage. If you're looking for something truly unique, a hot air balloon exit would definitely be something your guests will never forget! Making a grand exit when you leave our scenic wedding venue in Tennessee is an excellent way to end this special event, keeping the fun going until the very last moment. The natural setting at Country Jewell is a beautiful backdrop for most of the ideas above. Tell us what you have in mind, and we will do our best to make those ideas a reality.